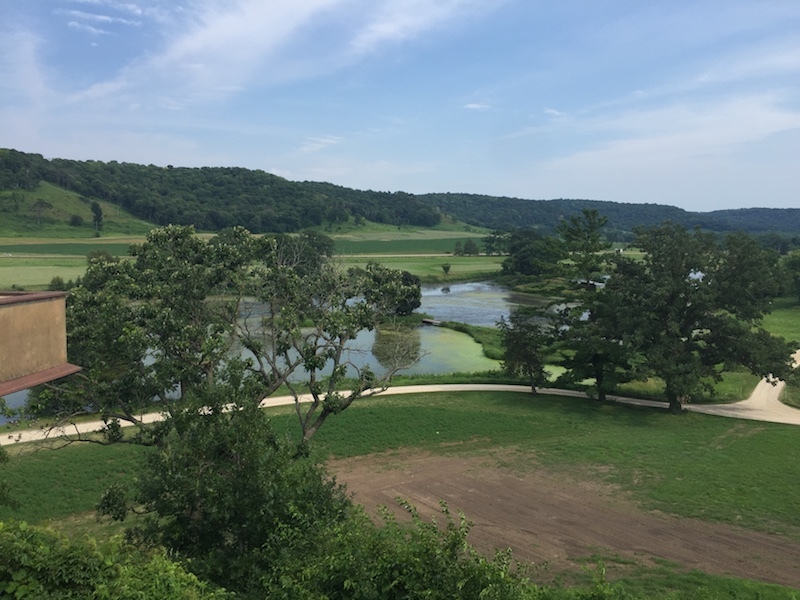 FLW’s view of the Wisconsin countryside. Photo by Nancy Bishop. 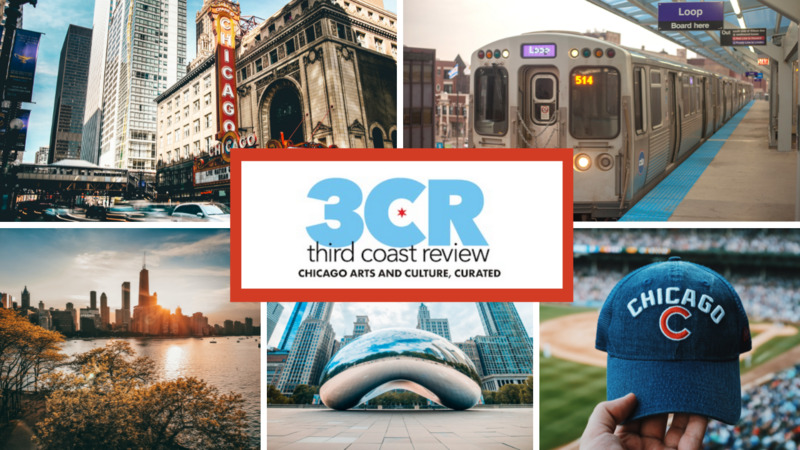 I was in Spring Green last week for the annual meeting of the American Theatre Critics Association and, as is our custom, we crammed as many plays as possible into the four-plus days. The conference was expertly organized by Madison ATCA members. Discussions included association-focused business plus panels and speakers on topics such as producing period comedy today, racial equity in theater, podcasting and legal/ethical issues in criticism. We also spent an afternoon on a private tour of Taliesin. First, a recap of some of the plays we saw. There are many theater connections between Chicago and APT, as you might imagine. 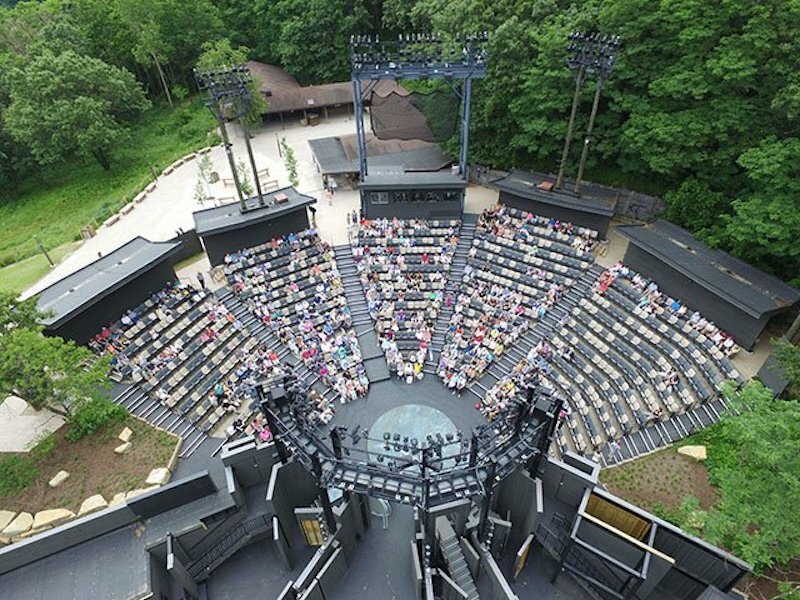 Bird’s-eye view of the stage and seating at American Players Theatre. Image courtesy APT. At the Hill Theatre, you’re seated in a natural bowl on the hillside. To reach it from parking and picnic grounds below, you walk up a hill through the woods on a gravel path. There’s also shuttle service to the hilltop. Your theater companions are hordes of mosquitoes, so the theater sets up “spray stations” around the grounds. Set in 1870, As You Like Itis a totally delightful and quite traditional rendition of this happy-ending play, directed by James Bohnen. (Bohnen was longtime artistic director and cofounder of Remy Bumppo Theatre. He now also runs Arcadia Books in Spring Green, a fine indie bookstore and cafe.) Melisa Pereyra is a charming Rosalind and her friend Celia (Andrea San Miguel), her admirable sidekick. After Rosalind is banished by Duke Frederick, she and Celia head to the forest of Arden in disguise. Many scenes and many characters later, disguises are removed and several couples are happily joined in marriage. Madigan and Madden in a scene from Born Yesterday. Photo courtesy APT. You probably know the story of Billie Dawn, the “dizzy blonde” who really isn’t, and her thuggish boyfriend. Remy Bumppo Theatre staged an excellent version in 2017. 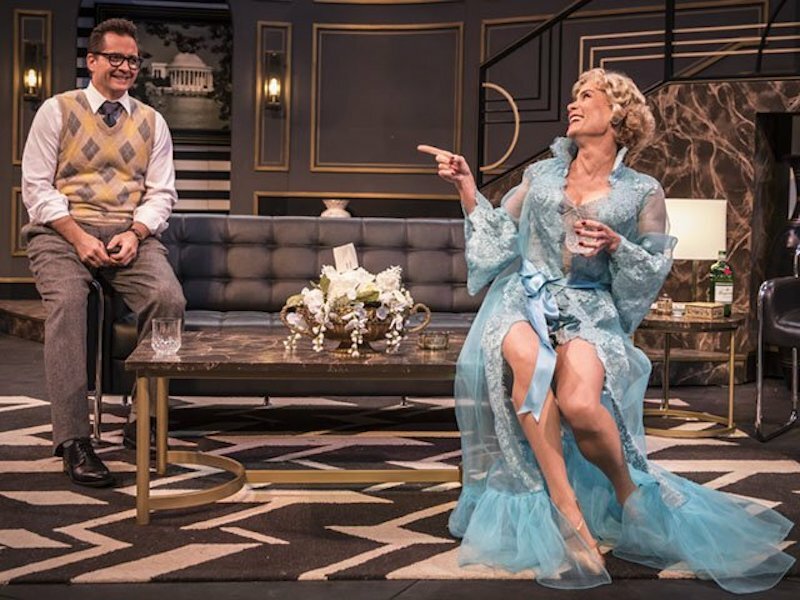 APT’s production brightened our Saturday night, starring Colleen Madden as Billie, David Daniel as Harry Brock and Reese Madigan as Paul Verrall, the journalist who becomes Billie’s tutor and more. Direction by APT artistic director Brenda DeVita was spot-on and each actor kept the pace and the sparkling dialogue. Set in a luxury suite in Washington DC in 1946, Nathan Stuber’s scenic design adds black and metallic art deco ornament and furnishings to the Hill Theatre backdrop. Fabio Roblini’s costume designs, especially for Billie, are exquisite and timeless. Haven’t seen Born Yesterday lately? Get a DVD of the 1950 film, starring Judy Holliday and Broderick Crawford. Holliday won an Oscar and a Golden Globe for her performance. At the Touchstone Theatre.The Touchstone, opened in 2009, is located about halfway up the hill and it’s enclosed, air-conditioned and sans mosquitoes. Both venues have raked seating, so sightlines are excellent no matter where your seat is. DeVita and Lawrence in Blood Knot. Image courtesy APT. The pen pal sends her photo (she is a white woman) and later says she plans to visit Port Elizabeth and wants to meet Zach. The two brothers, who have engaged in role-playing games since they were children, embark on a plan. In act two, the games ratchet up to an explosive level. 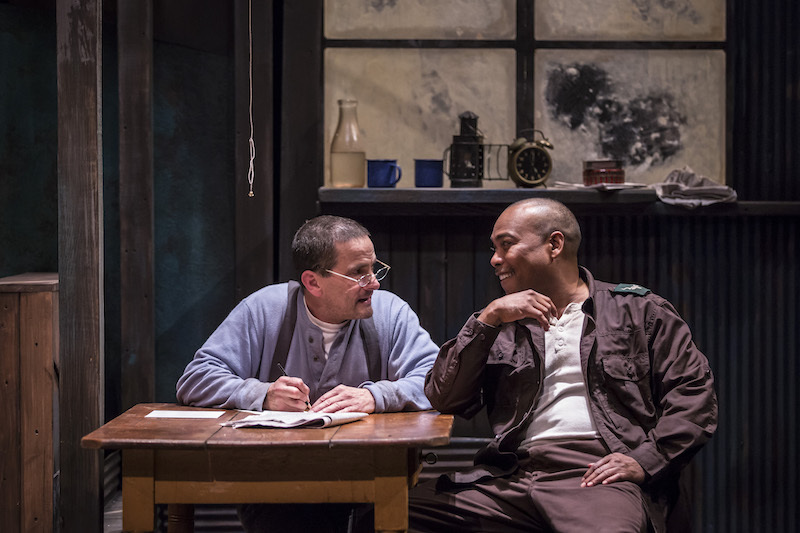 This is a intense play about an era of a different sort of racism than the racism we live with now. Both actors deliver powerful performances, but there has been controversy over the casting. In early productions of the play, Fugard, who is white, played Morris. And DeVita is white. The optics of the casting selection are tainted because it was made by his wife, artistic director Brenda DeVita. Director Parson came on later but apparently he concurs with the decision. The controversy is addressed in this article in American Theatre magazine. These questions of representation and appropriation have been roiling the theater world recently. APT has decided to expand the conversation with a special “pay what you like” performance of Blood Knotat 12noon on Sunday, August 12. The performance will be followed by a panel discussion to explore the issues in the play, including the casting. Ionesco’s 1962 absurdist play is the story of King Berenger (APT veteran James Ridge), who is told by his first wife, Queen Marguerite, and his doctor that he has only hours to live. His current wife, Queen Marie (the lovely Cassia Thompson) does everything she can to keep him alive. His kingdom is crumbling around him, he has lost all his powers, the birth rate is zero, and by the way, he’s 400 years old. The Doctor (James Pribyl) tells the king, “In three days you lost all the wars you ever won.” Every action in the play is announced by the Guard (Chicago actor Casey Hoekstra), usually to ridiculous extremes. Marguerite is played by Tracy Michelle Arnold, who also plays Jaques in As You Like It. Arnold and Thompson are both beguiling in their parts but I thought Ridge’s characterization was weak. (We saw him again that night in Born Yesterday, where he plays Senator Hedges.) Exit the King (the only APT production we saw that runs under two hours) is a witty and moving meditation on death and mortality. APT’s production is uneven, but worth seeing if you visit Spring Green. FLW’s bedroom. Photo by Jack Whaley, courtesy Taliesin Preservation. Our three-hour tour of Frank Lloyd Wright’s 800-acre estate included his former home, studio and school. (More info below about tour options, prices, etc.) I was in two different groups for the tour—first of the Hillside School, Studio and Theater and second of the house known as Taliesin 3. The two groups were led by capable and knowledgeable docents Kyle Adams and Jill McDermott. Wood flooring in the Drafting Studio. The school was built in 1902 to replace the one his aunts had built in 1887. The building features the Assembly Hall, a typically spacious Wright area with a high ceiling, dark and light contrasts in the woodwork and ceiling framing. Built-in furniture pieces were added later. The Drafting Room, in use today by architects and apprentices, has an interesting striped wood flooring, left over from FLW’s design for the Johnson family Racine house, Wingspread. In the theater, Taliesin’s apprentices and staff would perform plays, musical and literary events and view performances by guests. 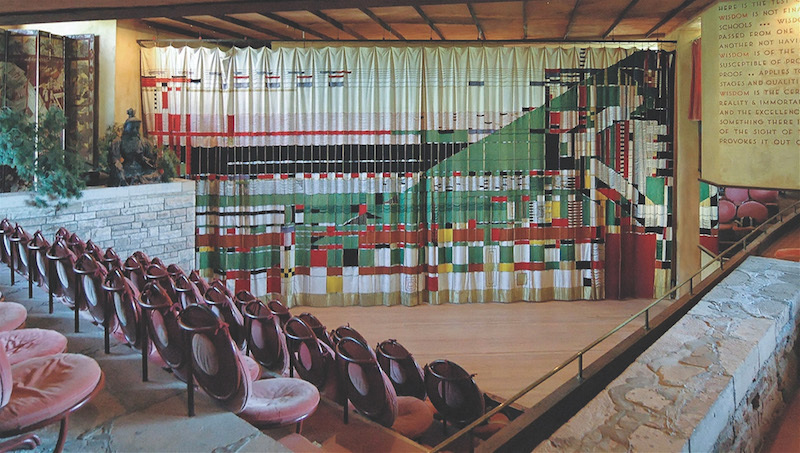 The colorful theater curtain was designed by Wright and made by the apprentices. View of the theater and curtain designed by Wright. Photo courtesy Taliesin Preservation. Want to learn more? If you’re interested in learning more about the development and history of Taliesin, there are many FLW biographies, of course. But I recommend The Fellowship: The Untold Story of Frank Lloyd Wright & the Taliesin Fellowship by Roger Friedland and Harold Zellman (2006, Harper Collins, 690pp). The authors, a sociologist and an architect, tracked down and interviewed dozens of the apprentices who worked with Wright at Taliesin. Their stories are epic but detailed in the everyday activities, tragedies and scandals at Taliesin, where Wright, a genius, egotist, misogynist, racist and anti-Semite, ruled with an iron hand. He couldn’t manage money and was greatly influenced by his third wife, Olgivanna, who was a devotee of the Greek-Armenian spiritualist, Georgi Gurdjieff. The book is rich in detail, gossipy, well-researched and annotated, and impossible to put down. Try to plan your trip when the weather is not hot and humid. If I go to APT again, I will choose a time in late September or October. Sitting in the Hill Theatre when the temperature is in the high 80s and very humid and you are covered with insect repellent and persistent mosquitoes is not my idea of comfort. And in midsummer, the sun is out until well into the first act, so there’s not much relief from the heat. I know the Greeks invented outdoor theater, but they didn’t have electricity and air-conditioning. I’ll take my theater inside, with AC and no bugs, thank you. It’s hard to concentrate when you’re miserable and bug-swatting. Dress casually and wear comfortable walking shoes. Bring water or other beverages, bug spray if you don’t like DEET, and something to fan with. To order theater tickets, see the calendar for the full list of plays and order online or call 608-588-2361. Ticket prices range from $51 to $86, depending on day and location. Here’s a helpful page of tips from APT. To tour Taliesin, see tour options and make reservations here. Tickets are $54 each for the two-hour House or Highlights tours, $22 for the one-hour Studio and Theater tour, and $90 for the four-hour Estate tour. Other tours are available too. At the Frank Lloyd Wright Visitor Center, you’ll find a gift shop and the Riverview Terrace Café, serving produce grown at Taliesin. Dress casually and wear comfortable walking shoes. You’ll be walking on uneven ground and old stone paths. Bring sunscreen, bug spray, water and something to fan with. 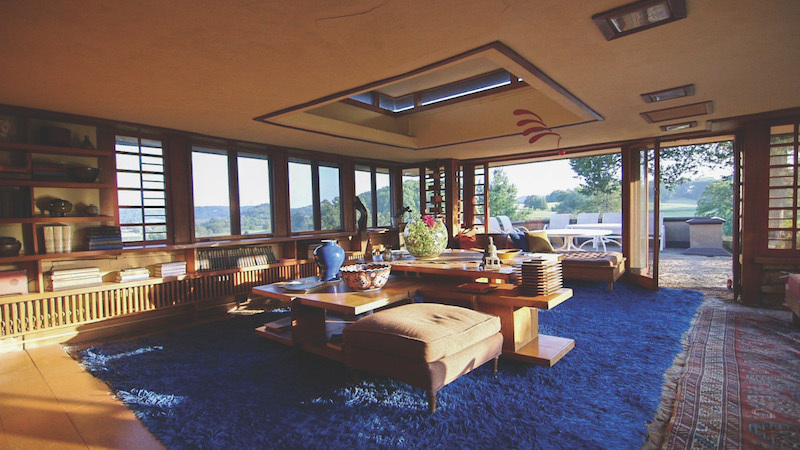 At Taliesin, most interior spaces are not air-conditioned.